Foto is photography and gallery sites. Minimal/clean style is well suited to showcase your photo/work. 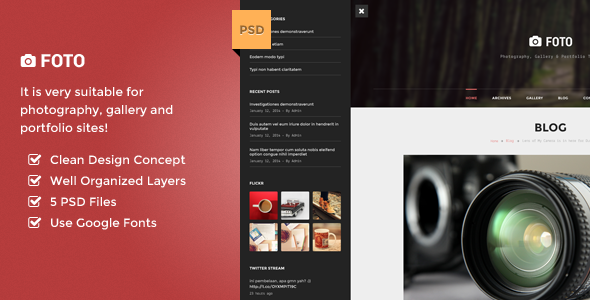 The download includes 6 well organized and easy to customize PSD files. Item Reviewed: Foto - PSD Template for Photography and Gallery 9 out of 10 based on 10 ratings. 9 user reviews.